Atria/Emily Bestler Books, 9781501110429, 288pp. 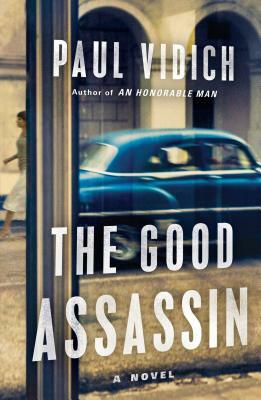 Paul Vidich follows up his acclaimed debut spy thriller with a suspenseful tale of Cold War espionage set in 1950s Cuba, as foreign powers compete to influence the outcome of a revolution. Former CIA Agent George Mueller arrives in Havana in August 1958—the last months before the fall of Cuban dictator Fulgencio Batista—to look into the activities of Toby Graham, a CIA officer suspected of harboring sympathies for the rebel forces fighting the unpopular Batista regime. Mueller knew Graham as an undergraduate and later they were colleagues in Berlin fighting the Soviet NKVD. Under the guise of their long acquaintance Mueller is recruited to vet rumors that Graham is putting weapons, covertly provided by the CIA to Batista, into the hands of Castro’s forces. Public exposure of the CIA weapons mission, and the activity of one rogue agent, threaten to embarrass the agency. Mueller uncovers a world of deceit as the FBI, CIA, and State Department compete to influence the outcome of the revolution in the face of the brutal dictatorship’s imminent collapse. Graham, meanwhile, is troubled by the hypocrisy of a bankrupt US foreign policy, and has fallen in love with a married American woman, Liz Malone. "Vidich spins a tale of moral and psychological complexity, recalling Graham Greene . . . . rich, rewarding." "Fascinating...Vidich brings the reader into a country on the brink of revolution. The fear and danger are palpable." Paul Vidich's tense, muscular thriller delivers suspense and intelligence circa 1953: Korea, Stalin,the cold war, rage brilliantly, and the hall of mirrors confronting reluctant agent George Mueller reflects myriad questions. Just how personal is the political? Is the past ever past? An Honorable Man asks universal questions whose shadows linger even now. Paul Vidich's immensely assured debut, a requiem to a time, is intensely alive, dark, silken with facts, replete with promise. "A cool, knowing, and quietly devastating thriller that vaults Paul Vidich into the ranks of such thinking-man's spy novelists as Joseph Kanon and Alan Furst. Like them, Vidich conjures not only a riveting mystery but a poignant cast of characters, a vibrant evocation of time and place, and a rich excavation of human paradox." "An Honorable Man is an unputdownable mole hunt written in terse, noirish prose, driving us inexorably forward. In George Mueller, Paul Vidich has created a perfectly stoic companion to guide us through the intrigues of the red-baiting Fifties. And the story itself has the comforting feel of a classic of the genre, rediscovered in some dusty attic, a wonderful gift from the past." "Cold War spy fiction in the grand tradition--neatly plotted betrayals in that shadow world where no one can be trusted and agents are haunted by their own moral compromises." "Vidich is a star in the making. His books have more of a slow-burn to them and are definitely classic espionage thrillers."